A fine early Biedermeier side chair. 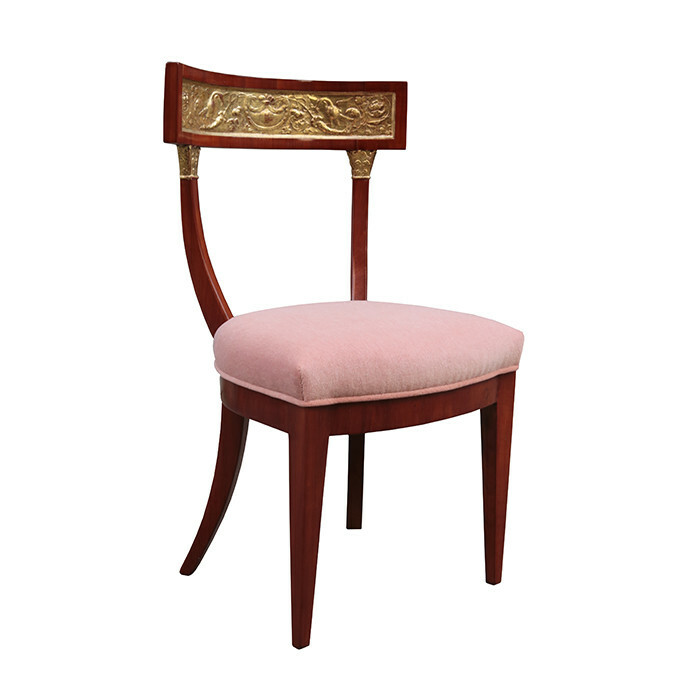 Cherrywood with carved giltwood back rest. Dimensions: H:33¾ W:20 D:17 Seat H:18 Inches.